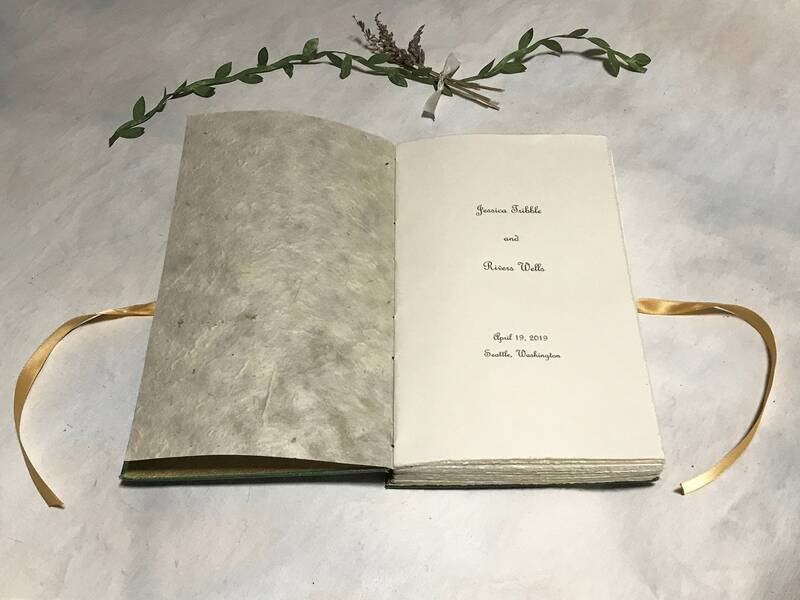 Carry your wedding rings down the aisle or pop the question in a unique way with a custom made ring box book. 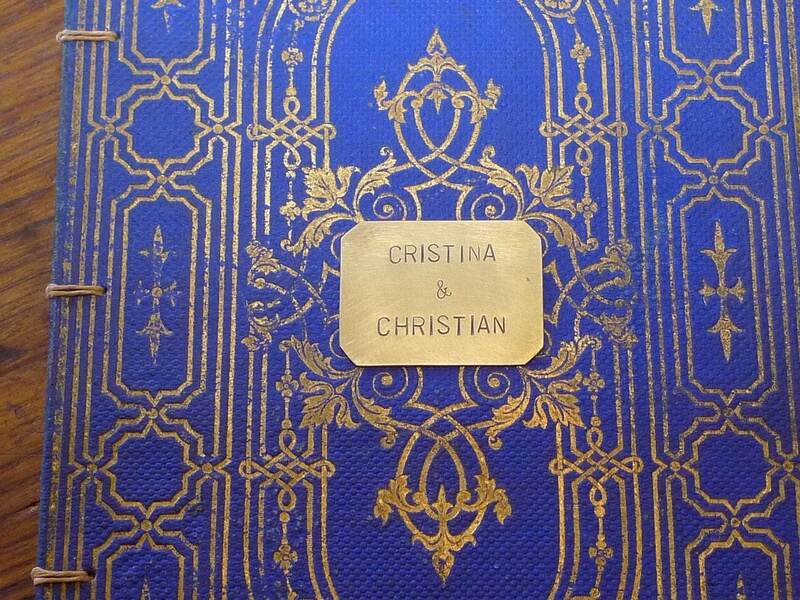 Can be personalized with your vows, favorite poem or your own fairytale story of past adventures and future dreams. 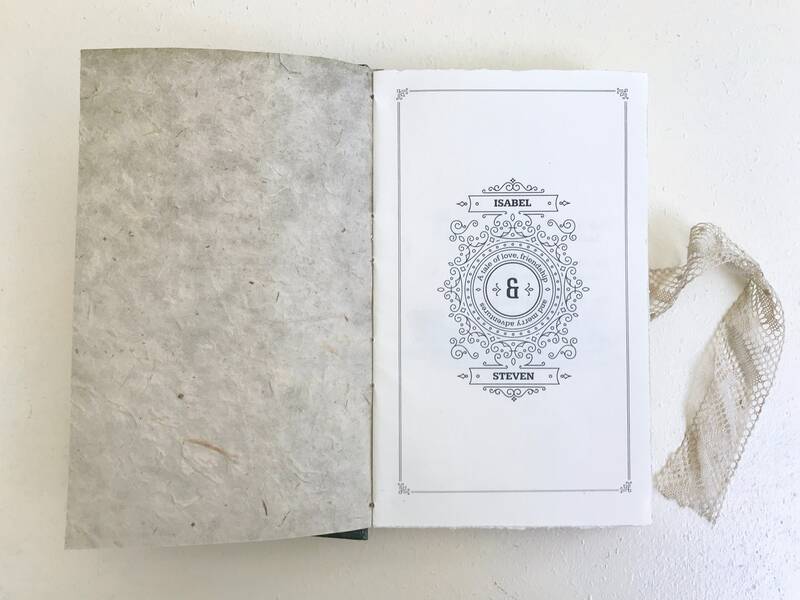 Your book will be made from an antique book cover that is rebound with blank pages, see photos of sold work for inspiration. 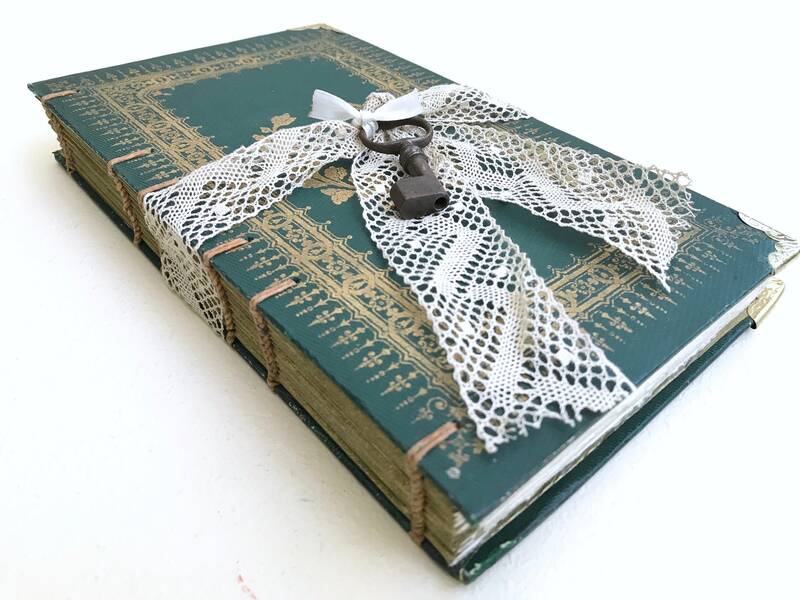 Made to order, exclusively offered by Spellbinderie in France. 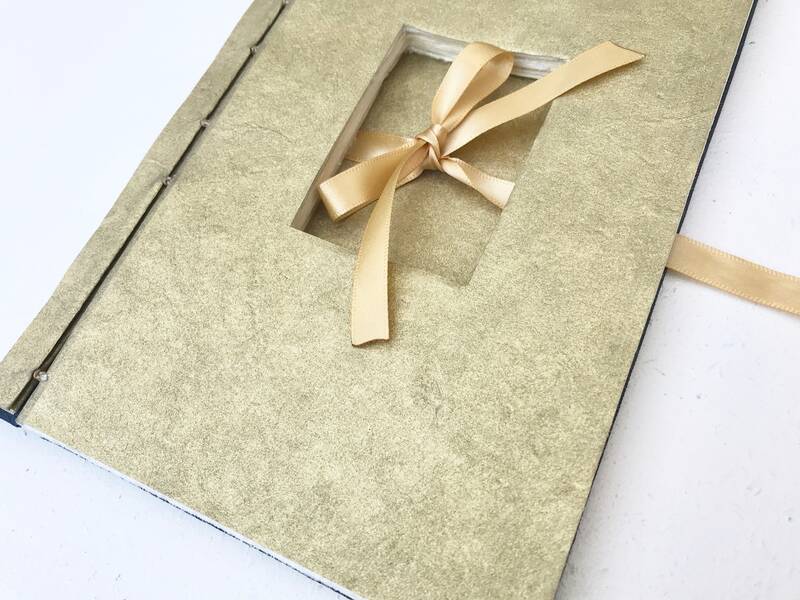 Please contact me to get book cover recommendations before placing your order. 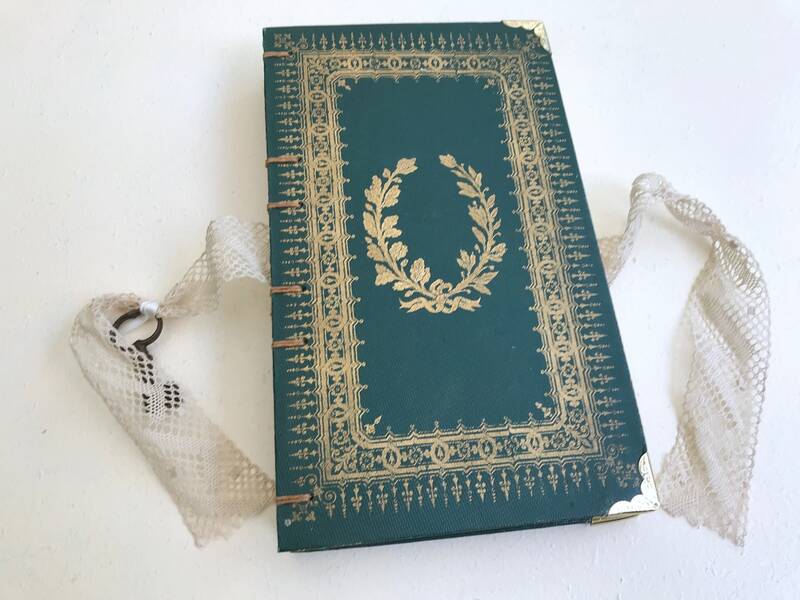 Items shown have sold, all orders are custom made with a book cover you choose. Please include your color and style preferences as well as deadline. 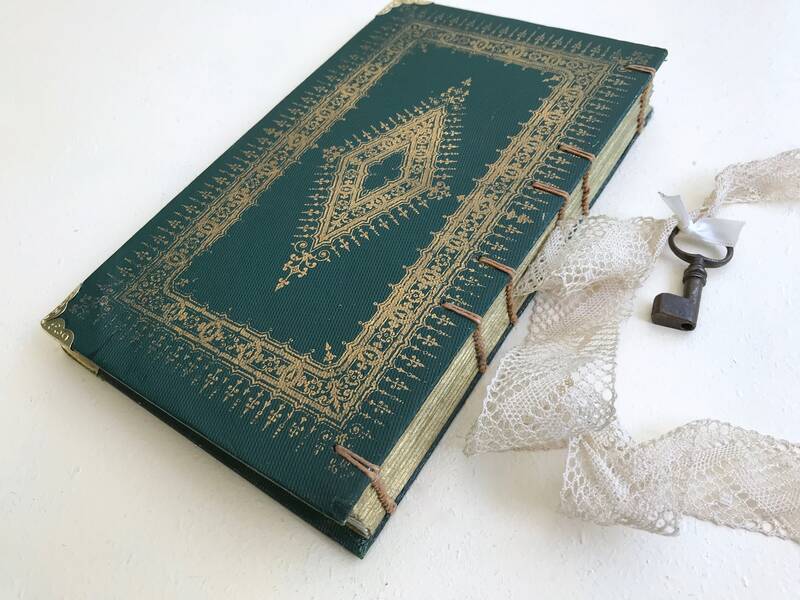 Price shown is for a rebound antique French book measuring approximately 5 x 7.75 inches. 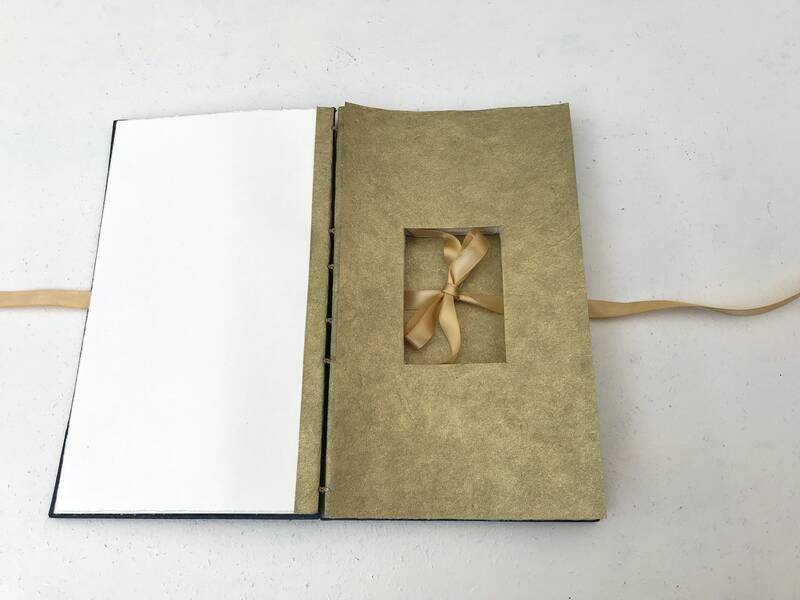 Includes: 2 pages of text printed in an antique font, 10 blank pages (counts both sides), ivory lace ribbon with an antique key, gold accent paper and a gold or ivory ribbon inside the chamber for securing the ring. Chamber is approximately 1/2" deep. A brass plate with short text is available as an upgrade. Additional options also available upon request. Or change it up as you like! Price quote available, don't hesitate to contact me with your ideas, I'm happy to work with you to create something special.